Have you ever encountered a situation where a Purchase Order or other transaction that you need is in someone else’s Work Area but that person is not available? 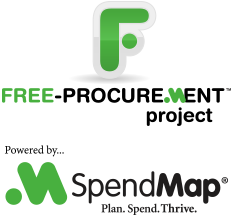 There are a few options in SpendMap for dealing with priority transactions when other users are either temporarily unavailable or have left your company without first delegating their work to others. SpendMap includes a series of “Work Areas” that contain pending documents/transactions that you are working on (i.e. your work in progress). For example, your PO Work Area is where you can work on unprocessed Purchase Orders. Again, that is just one example. Most documents/transactions include a Transfer utility, such as Requisitions, RFQs, Invoices, etc., which you’ll find right next to the menu to access the actual Work Area. TIP: It’s fairly common for a System Administrator to remove the Transfer Utility when setting up some users’ profiles, so if you don’t see the menu option, ask your System Admin to adjust your User Definable Menus. If someone leaves your company permanently without completing or delegating their work in SpendMap, you can either transfer the transactions in each Work Area individually, or you can just go ahead and delete the user’s account, in which case you’ll be notified that the user has pending transactions in their Work Areas, and you’ll be given the option to transfer all documents in all Work Areas in one shot. …or you can upgrade to the web-based version of SpendMap, so that you can approve requisitions using your smartphone or tablet while on the road. ← Who can’t use a free Purchase Order system?